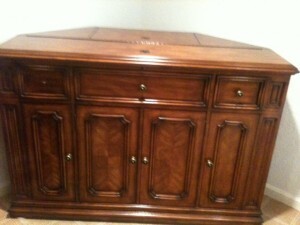 Check out our Banyan Creek Corner TV lift cabinet! This TV lift cabinet is part of our limited edition collection. We only have one left! 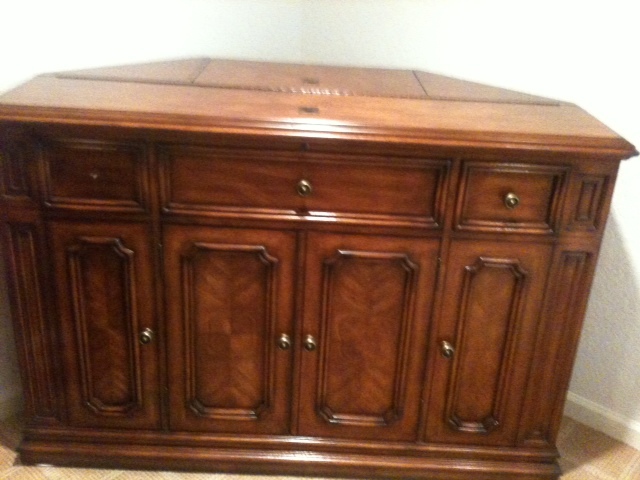 The Banyan Creek Corner unit is finished in the same warm brown stain as its sister cabinet the Banyan Creek. The TV lift cabinet dimensions are 57 1/4″ W x 29″ D x 39″ H. The maximum television dimensions that can fit within this cabinet are 32 7/8″ H x 5″ D x 53″ W. The Banyan Creek Corner unit has plenty of storage and the built in infrared relay system. This is the perfect TV lift cabinet for viewing your TV from all angles in your room. It fits nicely into any corner of the room. The price is only $999 as this is the very last one. Hurry up and be the first one to order! This amazing price is a rare bargain.